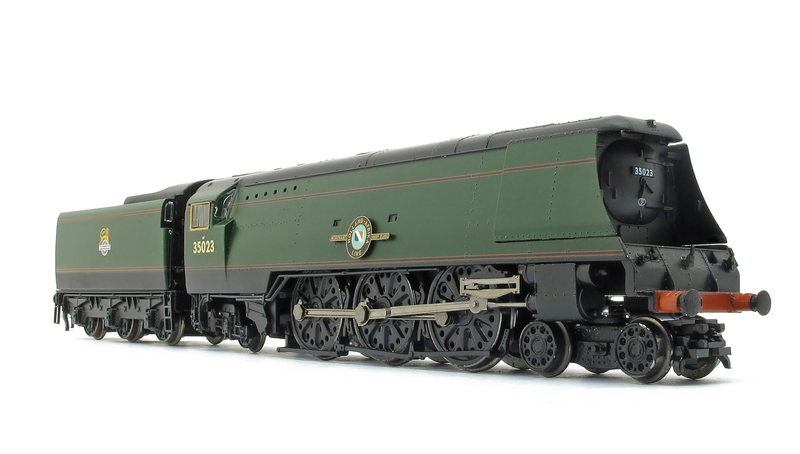 Graham Farish first announced that they would be producing brand new tooled Bulleid Merchant Navy Pacifics in N gauge back in March 2012. For any N gauge Southern Region modellers I can wholeheartedly say it has been very much been worth the wait. I am fortunate, even as a 4mm modeller, to have obtained one of these models to review before they hit the retailers’ shelves over the next few weeks. The four models being initially produced by Graham Farish all represent members of the final third series of ten engines that entered traffic between September 1948 and April 1949 under the auspices of the newly formed British Railways, some three years since the introduction of the final members of the second series. They were numbered from new 35021 to 35030. Further details of the three different series of the Merchant Navy class can be found on my very first ‘Talking Stock’ post here with illustrations based on my 4mm scale kit built examples. In brief; the third series differed from the first twenty members class, whilst although maintaining the more angular body shape from the second series, they had the wedge shape cab from new with three side windows and as a weight save measure had a fabricated (instead of cast) trailing truck. They were also eventually paired with larger 6000 gallon tenders on an asymmetrical wheelbase of 7’4” + 7’0” (rather than the previous 5000 and 5,100 gallon tenders of the first two batches with 6’6” + 6’6” wheelbase). Although it should also be noted that when initially introduced due to a number of the 6000 gallon tenders, being built at Brighton, not being initially available 35021, 35022 and 35024 were paired with 5,500 gallon battle of Britain tenders whilst 35026 and 35027 were paired with 4,500 gallon West Country class tenders. Their eventual 6000 gallon tenders were available within a couple of months. My own 4mm model of 35022 paired with its temporary 5000 gallon light pacific tender can be seen here. 372-310, No. 35024 “East Asiatic Company” in British Railways Express passenger blue the livery she carried between October 1950 and June 1951. 372-313, No. 35021. “New Zealand Line” in lined Malachite Green livery with “British Railways” lettering in Yellow Gill Sans which represents her condition between receiving her correct 6000 gallon tender in November 1948 and being repainted in BR Blue in November 1950. During the periods represented by the liveries above 35028 was allocated to Stewarts Lane and for a few months before rebuilding Nine Elms, whilst the other three were all Exmouth Junction allocated locomotives. The models have captured the characteristic look of these engines extremely well, and the level of detail really shows how much N gauge Ready To Run models have substantially improved over the last few years. This model in my opinion lifts the bar for N Gauge models even higher. The exceptional detail includes: the front and rear lamp irons, with the three above the front beam separately applied in combination with the electric lamps, whilst the rest of the irons and lamps on and above the smoke box door and tender rear are moulded, fine ‘Bullied clasp type’ break gear including the external rodding, the rear tender ladders and a good representaion of the cab backhead. 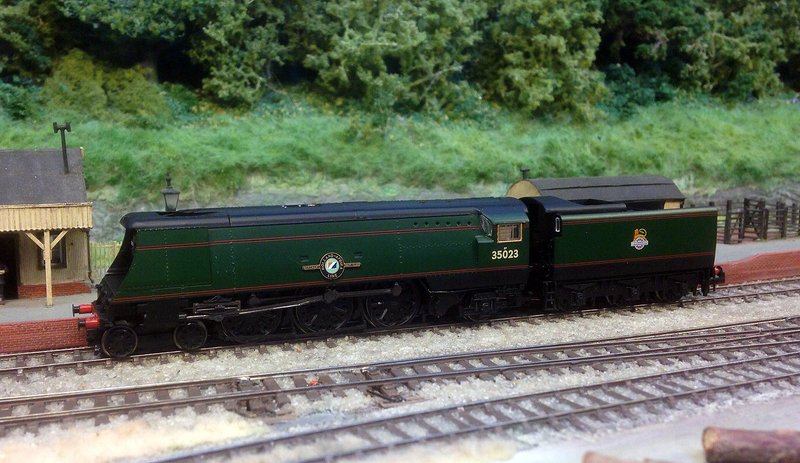 The very fine smoke deflectors appear to be separately applied etched brass fitments, although even the tender raves that are moulded also appear impressively thin. The removable coal load is cast metal to add some additional weight to the tender. My first impression out of the box was that the gap between the locomotive and tender is slightly too large and that the connecting rod is quite obviously cranked part way along its length to enable the model to navigate 9” radius curves. The only other such compromise I thought Graham Farish had made was the omission of the front steps and cylinder drain pipes; however these are amazingly included within the accessory detail pack, for modellers with more generous curves, to fit (the drain pipes would benefit from a touch of copper paint). The detailing pack also includes: cab doors, an engine head signal disc (which will actually fit over the front buffer beam lamp irons), an alternative front bogie block (for those not wishing to fit a front coupling, although no coupling was included with my model), a front coupling hook complete with a representation of a screw coupling and steam / vacuum pipes for the front buffer beam! I would point out that the front steps are handed and my detail pack contained two of the same hand! It has only been in the last few years that such additional details have been included with 4mm scale RTR models (although I you think they are difficult to fit in 4mm you should try these!). Running straight of the box was exceptionally smooth with pick ups also included on the tender wheels, which appear to be split axles running in bushes, with electrical transfer carried to the locomotive via the permanently fixed draw bar. Its first run was in fact on Jerry Clifford’s exceptional 2mm finescale layout Tucking Mill, and she even managed to negotiate, albeit by bumping over them, the 2mm finescale points (which of course in reality, being made to N Gauge standards, the model is not designed to do!) I have not yet been able to give her a full run with a full rake of coaches but I have no fear that she will not perform exceptionally well. They would certainly look good in front of a rake of the latest Graham Farish Bullied that arrived last year or once once released in BR(s) livery the Dapol Maunsell coaches . I can only say that this is an exceptional model and I repeat my opinion that it lifts the N Gauge RTR standards bar even higher, well done Graham Farish. I certainly believe this excellent model, will prove popular, and with any luck might in the future lead to some of the earlier Merchant Navy series and variations being tooled. 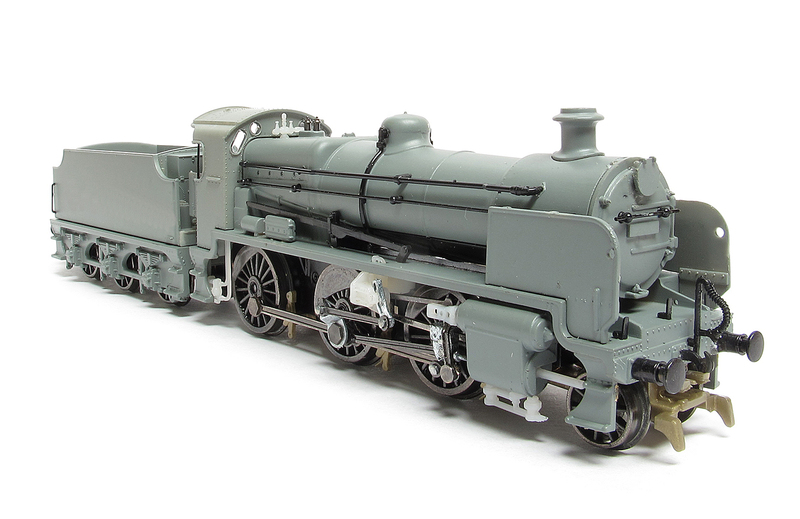 Back in March 2013 Graham Farish announced its intention to produce the N Class 2-6-0 mogul in N gauge. I am pleased to show below the first pictures (copyright and courtesy of A York) of the Engineering Prototype (EP). Being an EP there are still a couple of things that need to be put right, but that is the purpose of producing an EP in the first place. Clicking the images will open a larger version. Remember these are 2mm scale, N Gauge! 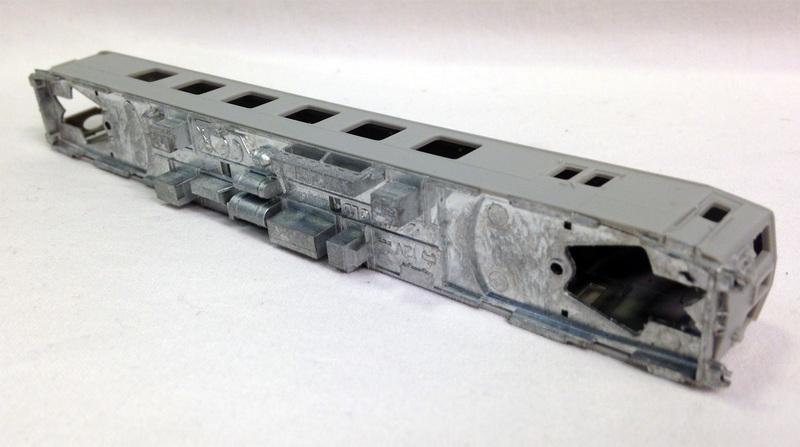 Last month I was able to post the first pictures of the Arnold / Hornby N Gauge Brighton Belle fist off engineering prototype tooling that is being produced in the British 1.148 scale rather then the usual continental 1.160 scale. Courtesy of Simon Kohler of Hornby and with thanks to the Worthing Model Railway Club and their exquisite Nine Mills layout as the backdrop, I am now able to post pictures of the first full running sample model. This motorised sample; powered by an open frame motor located above the floor line inside the Driving Motor Brake Parlour Third drives both bogies via cardian drive shafts. Although the motor is slightly visible though the nicely flush glazed windows, from a normal viewing distance and with the all the table lamps it is not overly noticeable. The wheel sets on this sample seemed to have deeper flanges than the more usual RP25 profile but these may of course not be representative of the final wheel sets being used. It did look however if the underframes were notched to allow the required bogie swing but again this may not be as the model will finally appear. This does however show that development of this interesting model is continuing at pace. Edit 20/10/13: I can confirm from Hornby that the wheels and the underframe cut outs on this sample are not representative of how the final production models will be. It was back in January this year that the continental manufacturer Arnold that are part of the Hornby International stable of brands initially announced they were to produce an N gauge version of the Brighton Belle set and that it will be in the British 1.148 scale rather then the usual continental 1.160 scale. It was later announced here, along with the actual livery variations being produced that these truly distinctive models will only be available via www.Hornby.com and advance orders will and can be taken. 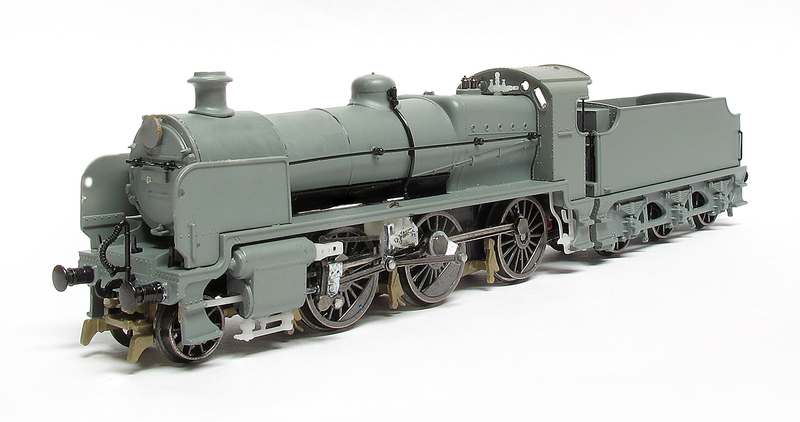 The models will feature: being accurate to UK N scale – 1:148, High performance motor with flywheel, 6 pin DCC socket, Detailed differences on bogies between both period models and Illuminated table lamps. The first Engineering Prototypes (EP) of the bodies have now just been received by Hornby and I had the privilege, courtesy of Simon Kohler of Hornby, to be the first to take any photographs at the weekend. It should be noted that these are the very first samples and there are a small number of inevitable design tweaks needed that have already been noted. Both driving cars have a well detailed die cast full length underframe which should give a nice amount of weight for traction. and the differences between the three trailing cars have been accurately portrayed and they also feature flush glazing. If these first samples are anything to go by then the finished models will be an a worth addition to to any 2mm Modellers Southern / Southern Region fleet, although I don’t envy their need to install 2mm scale third rail! As per my post at the time Arnold one of the brnads of Hornby International announced last January their intent to produce a N Gauge Brighton Belle in British 1.148 scale rather then the usual continental 1.160 scale. The “Brighton Belle” is one of the most famous, if not the most famous of the “Belle” trains to operate on British tracks. The “Belle” operated between London Victoria and Brighton and was the first all electric Pullman service in the World. The service commenced in June 1934 and continued until April 1972 with only a period during the Second World War when the service was suspended. There were three 5-Car units specifically built by Metropolitan Cammell for the “Brighton Belle”, a service which took just 60 minutes to travel the non-stop 51 mile distance between London and Brighton. In recent years under the patronage of the Transport Trust a group was formed to restore a 5-BEL unit and bring it back into service under private ownership. The stunningly elegant Hornby Arnold N gauge model, which will be initially produced in two distinctive periods, captures perfectly the opulence and style of the “Brighton Belle Pullman”, with each car lit with miniature table lamps as well as having carefully crafted detailed interiors. 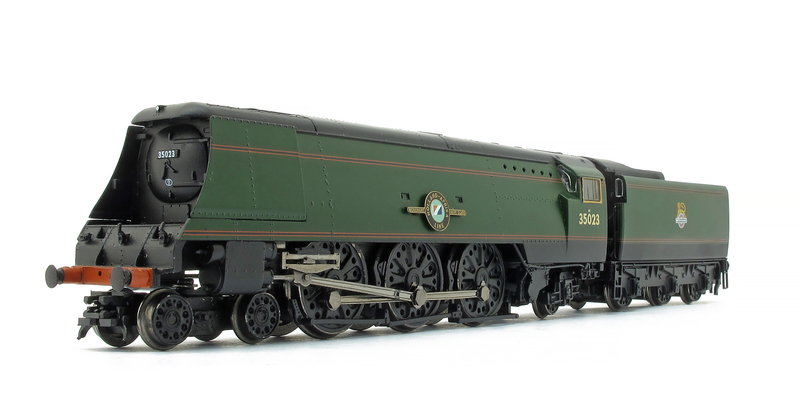 These truly distinctive models will only be available via www.Hornby.com and advance orders will and can be taken. 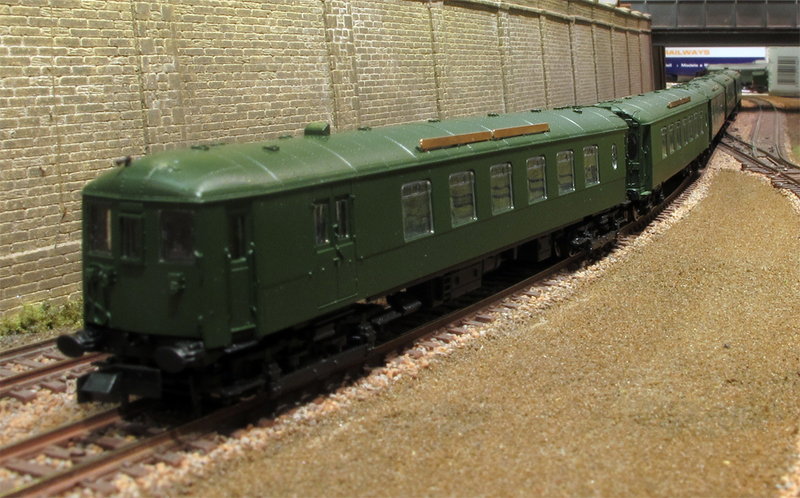 All models are produced to 1:148 UK N Gauge standards. 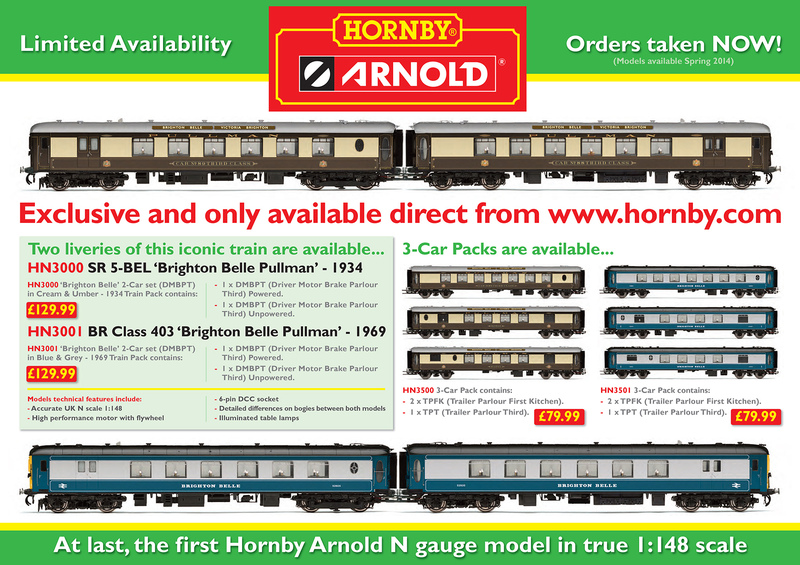 It might sound a little left field but continental manufacturer Arnold have yesterday announced a Brighton Belle set in N Gauge and that will be in the British 1.148 scale rather then the usual continental 1.160 scale. This is not perhaps as odd as it might seem as Arnold are part of the Hornby International stable and therefore have access to the information that Hornby used for their 4mm version in the UK. A German flyer about the models to be produced in both Umber & Cream and Blue & Grey liveries is worth a look , and can be seen here, ignoring some of the obvious inaccuracies in the text which can be spotted even in German! British N Gauge modellers will of course be pleased that it is to be manufactured in the establish British 1.148 scale and perhaps this might lead to other British prototypes appearing the Arnold range. Hornby have already in the past dabbled slightly in British N Gauge with their now unfortunately ceased range ‘Liddle End’ of very nice cast resin buildings that we similar to their very good 4mm big brothers in the Scaledale range. With Dapol announcing both SR / BR(s) locos and Maunsell coaches following the Farish announcement of Original Bulleid Merchant Navy Pacifics and Bulleid Coaches last year it appears to be a good time for Southen in N Gauge! Another announcement of potential interest from the Hornby International stable under the Rivarossi brand is the USA 0-6-0 tank in HO. The body is therefore the wrong scale and lacks the modifications made by the SR for their USA tanks, however the chassis might be useful under perhaps a SE Finecast kit? There is of course already the announcement earlier in the year of the Model Rail commission via Dapol of a 4mm SR USA tank which will be the best option for 4mm modellers.